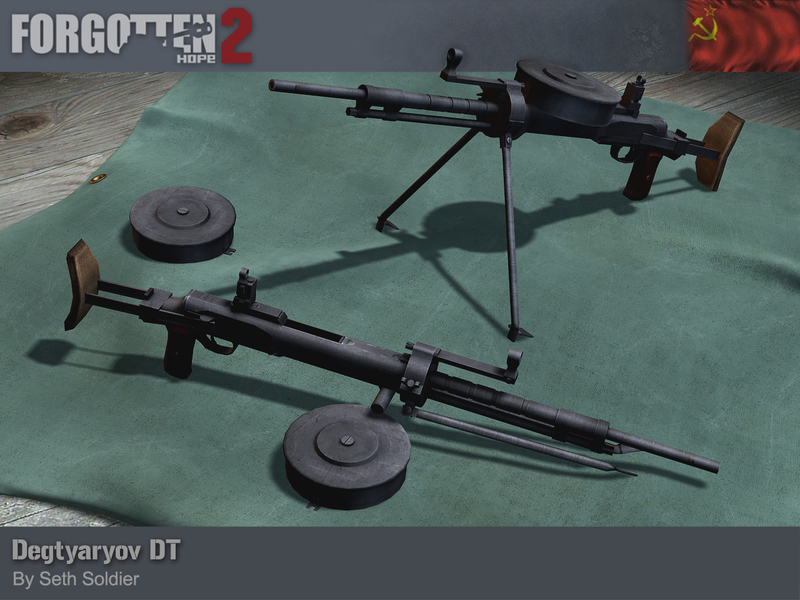 Today we have a render of another Soviet weapon that you'll be able to find out on the battlefield, the DT. The DT is essentially the same weapon as the DP light machine gun designed by Vasily Degtyaryov, only with some modifications to make it more suitable for tank use. The magazines were smaller in diameter and fatter, holding more ammunition. Despite the intention for use as a vehicle mounted weapon, it was often used as an infantry weapon due to its larger capacity magazine and slightly lighter weight. Our DT was made by Seth Soldier, and you will be able to find it mounted to vehicles and laying about in pickup kits.